Though you almost certainly don’t think about your drain and sewer system that much, it still serves a vital purpose in your home. Your drain and sewer system disposes of a great deal of the waste that your home generates, in a convenient and sanitary manner. If you neglect it, all sorts of problems will eventually crop up and start to damage the system. 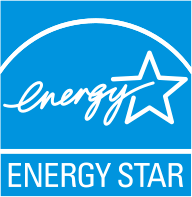 It’s best to make sure that your drain and sewer system is kept in good condition, which is where we come in. 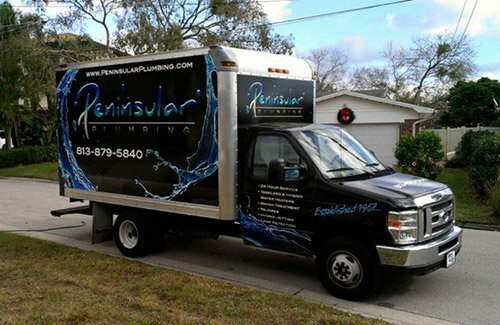 Peninsular Plumbing offers a full range of drain and sewer services throughout the Tampa area. Call today to set up an appointment with one of our expert plumbers. Peninsular Plumbing provides drain and sewer services in Tampa and the surrounding areas. Clogs: Perhaps a minor inconvenience if it happens every once in a while, but if your drains start clogging on a regular basis it can have a substantial effect on your system. If the drains aren’t cleaned out every once in a while, clogs will become more and more frequent. Corrosion: Various kinds of corrosion can weaken your pipes and make it more likely for leaks to form. If you don’t have your pipes inspected often enough, you may have a pipe rupture on your hands after a while. Lime Scale: Hard water creates lime scale over time, which builds up and restricts the flow of water through the pipes. If you have your pipes inspected and cleaned on a regular basis, this isn’t too much of a problem. If left alone, though, you may have to replace the pipes entirely to get rid of advanced lime scale. No matter what your drain and sewer needs are, Peninsular Plumbing is here for you. Our expert plumbers have many years of experience providing comprehensive drain and sewer services. We install, repair, maintain, and replace all manner of drain and sewer systems throughout Tampa. If you need drain and sewer services of any kind, give us a call today. Read on for a list of some of our drain and sewer services. If you have any questions, or would like to schedule an appointment, we’d be happy to help you out. You should have your drains cleaned out at least once a year, possibly more if your individual situation calls for it. Drain cleaning gets rid of all the waste that can accumulate on the walls of your drain pipes. This not only prevents clogs from forming, but helps keep the system healthy. Sometimes, corrosion or other factors can actually damage the drain pipes. If you have a leak or rupture in one of your drain pipes, let us take care of it for you. We’ll be sure to restore your drain to proper health. Drain repair is vital to keeping your drain and sewer system in working condition. Hydro jetting is a method of pipe cleaning. It uses a hose with a 360–degree sprayer head to clean out the pipe with a high–pressure stream of water. While some pipes are not strong enough to cope with that level of pressure, most benefit greatly from the occasional hydro jetting. Plumbing pipes are largely hidden from view, and as such are pretty difficult to diagnose with problems. One way to get around this issue is to schedule pipe inspection. Pipe inspection uses a long cord with a camera on the end to travel through your pipes and record video, which it sends back to the plumber operating it. You should have your pipes inspected at least once a year. If you live downhill from the city sewer main, or you have a septic tank that’s on a higher elevation than your home, you’re going to need a sewage pump. Sewage pumps pump sewage uphill in order to keep the sewer system operating properly. Most sewer systems operate through gravity, which is why extra equipment is necessary when gravity works against the system. Over time, waste can build up in your sewer pipes, causing clogs, backups, and a host of other problems. Sewer cleaning helps address these issues by clearing out all of that waste buildup. We offer comprehensive sewer cleaning services. Contact us for more information on sewer cleaning, and how often you should schedule it. Your sewer line is what connects your home to the septic tank or sewer main. Without it, you would have no way of disposing of wastewater that your home generates. We install, repair, maintain, and replace sewer lines throughout Tampa. Call us for more information about our comprehensive sewer line services. Proper storm drainage is a must in a place like Tampa, where flooding is a very real possibility. We don’t want you to have to deal with the water damage and other headaches that come with flooding, which is why we offer a full range of storm drainage services. Call Peninsular Plumbing today.